Need a boiler installation in Barnsley? Was your boiler set up in the dark ages? If it’s older than you then odds are it’s not meeting modern demands of hot water and central heating. D S Steele Heating Engineers can assist with the installation of a boiler that’s more efficient and less expensive to run, such as the new generation combination or ‘combi’ boilers. High spec combi boilers are the boiler preferred by a lot of domestic households in Britain these days. They require only a single compact unit, so do away with the need for a separate tank in the roof and extra pipes. Not only are they space-saving and a lot quicker to install, they’re fuel efficient and can deliver all the hot water and heating you need at a dramatically reduced cost. Here at D S Steele Heating Engineers we’re specialists in replacing out-of-date boilers with combi boilers. Our team of engineers are all ‘Gas Safe’ registered and we’ve been providing plumbing and heating services, including boiler installation in Barnsley for many years. So if an instantaneous gush of hot water from your taps, as opposed to a warm trickle, sounds like paradise then talk to us today. We’re pleased to provide a free of charge estimate for your boiler installation in Barnsley, with no obligation on your part. 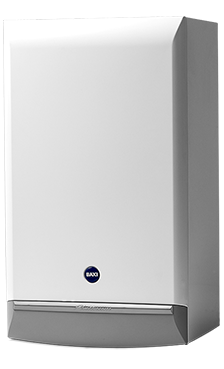 Combi boilers (or combination) boilers are the UK’s preferred kind of boiler for gas heating and domestic hot water. They’re easy to install, easy to use and economical to run. A combi boiler only heats water when a hot tap or shower is activated, guaranteeing maximum efficiency. There is no need to find space for a water storage cylinder or have a tank in the loft space. Hot water is transported to your taps at mains pressure, so you can enjoy a powerful shower without the need for a pump. Energy efficiency – New high efficiency condensing combi boilers are incredibly energy efficient and have a SEDBUK 2009 rating of over 88%. This means they convert more of the gas you have to pay for into usable heat, meaning you spend less on your fuel bills, compared to a standard efficiency boiler which is 10 years old. Using less fuel also means you are going to lower your carbon footprint and your impact on the planet. If you live in a property with more than one bathroom or will need more hot water than can be supplied by a combi boiler, then a system boiler might be your best heating and hot water solution. 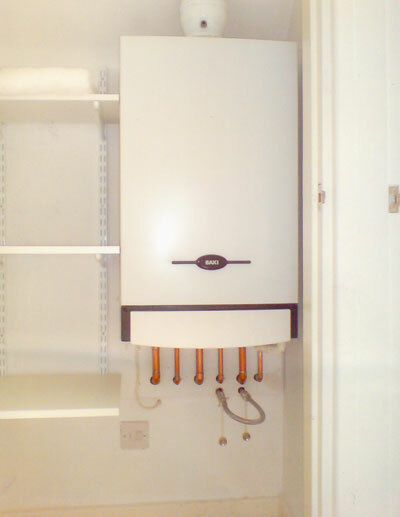 With a system boiler, hot water is pumped to the radiators and hot water storage cylinder. Most of the major components of the heating and hot water system, which includes the pump and expansion vessel, are built within the boiler, this makes installation less complicated, tidier and more efficient, and even simplifies servicing. System boilers mix high efficiency and high performance with fantastic ‘green’ credentials. The reliability, versatility, convenience and easy installation offered by a system boiler also contribute to its level of popularity. Heat only boilers are sometimes known as ‘regular’ or ‘conventional’ boilers. If you are changing an old boiler and have a small expansion tank and a larger cold water storage cistern inside your attic space, you probably already have a heat only boiler. Heat only boilers are usually installed on an open vented system. The system will in most cases comprise two tanks in the attic, a hot water storage cylinder in the airing cupboard and a separate pump. Here at D S Steele Heating Engineers we always complete your job to the highest of standards. So if you are looking for boiler installation in Barnsley then you have definitely come to the right place. We’re a check-a-trade approved company and registered with gas safe for your total peace of mind. So, for a completely free, no obligation quote why not contact us today.